Born in Brasilia in 1980, Tiago Coimbra grew up in Brazil, Washington D.C., Guatemala and Cambridge UK. He started playing guitar and drums through the influence of his brother and settled on the bass as his instrument at the age of twelve. Tiago’s first gig was at the age of 13 with Beware the Moon, a rock band he played with for the next four years. With Beware the Moon, he played gigs, festivals and studio sessions. After graduating from ACM Tiago won a scholarship to Berklee College of Music in Boston USA, starting his studies there in September 1999. Whilst in college, Tiago was involved in a broad range of projects, including performing and recording with the band Spontaneous and Hiromi’s Explosion Trio. He has also studied with Oscar Stagnaro, Anthony Vitti, Bruce Gertz, Matthew Garrison, Abraham Laboriel, Walter Beasley, Ed Tomassi and Kenwood Dennard. 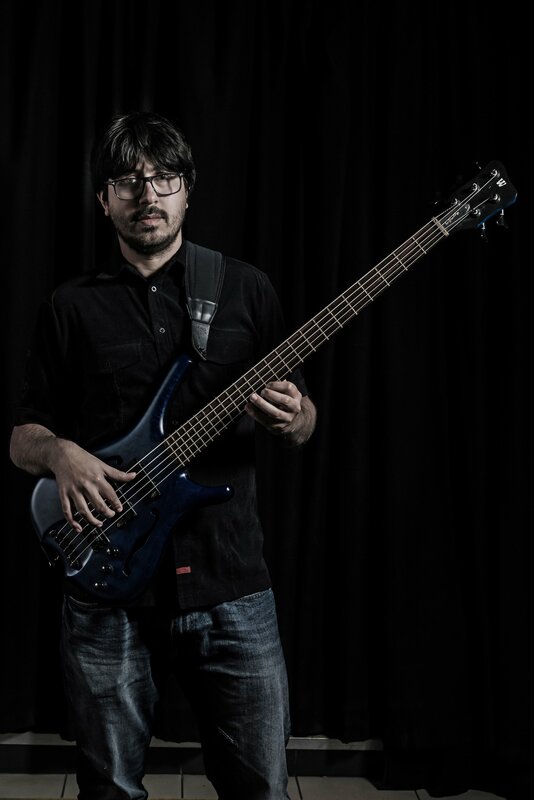 Tiago is has toured the world, recording and performing with various bands including the Gavin Harrison and 05Ric Band, piano superstar Hiromi, soul singer Myles Sanko, jazz funk band Resolution 88, Orphy Robinson, Cleveland Watkiss, Malik and the O.Gs, Q3 jazz trio and many others. He also teaches music at Anglia Ruskin University and has done masterclasses and clinics in Germany, England and the Philippines.